Christmas music is playing, the weather has gotten a little cooler in Florida, and Christmas decorations are popping up in your neighborhood. It’s that time of the year again: holiday season. While some people absolutely love this time of the year from the gingerbread baking in the oven to the Hallmark Christmas specials on television, it can also be a stressful time for those who are hosting the festivities. If you are the one in the family or your friend group who is having everyone over, then it can be very strenuous to clean the house and have delicious food on the table. Instead of bearing the weight of hosting, let our fresh market take some of the stress from your shoulders with our catering services. While we can’t go gift shopping and clean for you, we can take care of catering fresh food. Located in Boca Raton and Palm Beach, Joseph’s Classic Market is a quality Top Rated Local® Gourmet Market. We have an assortment of fresh foods you can purchase for a great price. We strive to offer top-quality food for a price that can’t be beaten. From freshly baked goods to delicious fresh vegetables, you can enjoy shopping our great prices all year long. At our fresh market, we have weekly and weekend specials that you can take advantage of any time of the year. For the holiday season, we also have a splendid Christmas special you can benefit from. Our fresh market has a wide selection of items you can purchase for your holiday dinner, or if you want to take advantage of catering, continue reading about our services. 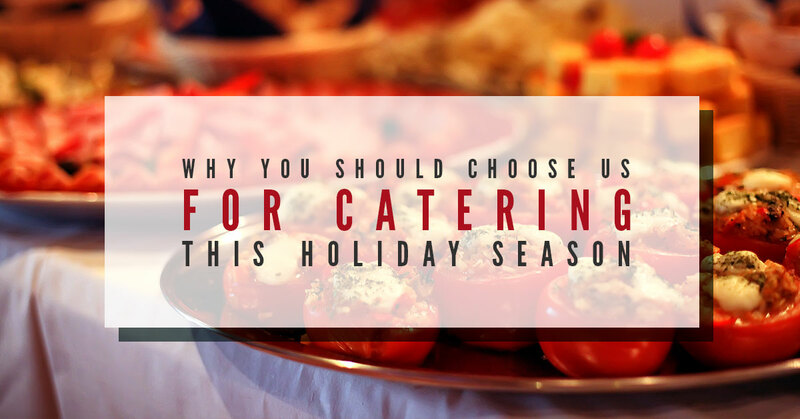 You may have considered catering around the holidays, but you’ve never actually thought you’d do it. With the rush of Christmas shopping, decorating, holiday parties, and preparing the food, it can be difficult to keep up with everything. As you get older, the less time you want to spend in the kitchen cooking for your family and friends. Instead of spending your Christmas slaving over a hot stove, spend this time with your family and allow us to take over the food. Our catering services are some of the best in the area because we provide fresh food for a great price in a timely fashion. When you decide to go with our catering services for your Christmas dinner, you can serve between 10 and 12 people for a low price. You’ll get to choose the entree, the vegetable, the side, and you’ll also be able to benefit from some included dishes such as baked ziti and a fresh Caesar salad. If this sounds like something you want, then contact us. To help you make your decision about our catering services, check out some of the benefits that you can take advantage of when you decide on Joseph’s Classic Market. Are you ready to enjoy this holiday season a little more than last year? Are you ready to be less stressed? Contact us for our catering services!